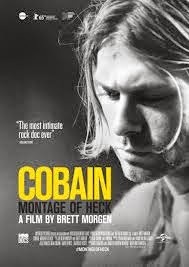 Kurt Cobain: Montage of Heck: The former Nirvana leader's life is told for the first time with the blessing of his family. Having access to the notebooks and audio and video recordings contained within supply a portrait that further humanizes Kurt and makes us more fully understand the hurt within his chronically pained stomach and from the betrayals he felt from family members and Courtney Love throughout his life. The animated cuts from his notebooks and from Charlotte's Web-like cartoon vignettes are powerful. An essential rock doc. We're the Millers and The Interview: Two totally dumb comedies that shouldn't work but somehow do, quite enjoyably. 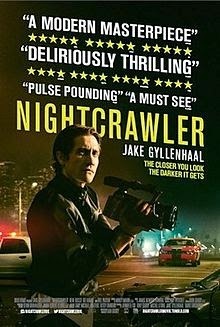 Nightcrawler: I really liked this creepy L.A. noir starring a scrawny Jake Gyllenhaal as a nowhere man who gets the sudden idea to become a paparazzi. His jerky ways cause all kinds of unnecessary pain. Birdman: Not nearly as good as Boyhood (which should have won bets picture instead of this), but still a tale of an actor once known for playing a superhero (the always-great Michael Keaton) who is losing his mind in a bit of a pretentious take on the power and aura of celebrity. Good in a way that it will probably be worth revisiting as a potential classic a few years after its release, ala films like Fight Club or The Big Lebowski. Neighbors: Not as good as the other Seth Rogen comedy on this list, but still pretty funny as a latter day Animal House knockoff. A Million Ways to Die in the West: This modern-day take on Blazing Saddles tries a little too hard for laughs. While its silliness works a lot of the time, it's vulgarity actually makes it a little less endearing. Charlize Theron is likable but Seth MacFarlane is a very poor man's Billy Crystal, or perhaps Donnie Osmond. By the time the big gunfight scene arrives at the end, it's tough to have much invested, especially during Neil Patrick Harris' poop scene. You can hear my interview this week with WAMU 88.5 FM, the NPR station in Washington D.C. And read the accompanying article below. A screenshot of the Web version of the CarFreeAtoZ app. Commuters’ options are multiplying. For those who can leave their cars at home, there’s Metrorail, the bus, taxicabs, or Capital Bikeshare. Or they can use their smartphones to order rides with Uber, Lyft, or Sidecar. A new on-demand bus system called Bridj is launching in D.C. There’s also ZipCar and Car2Go. And some apps, like RideScout, help you pick the best choice depending on where you are at the moment. These options help commuters figure out the fastest way to get from A to B. But a new app is trying to get traffic-weary travelers to think more holistically about their trips. It’s called CarFreeAtoZ.com, the creation of Arlington County Commuter Services, Mobility Lab, and the transit-tech firm Conveyal. The idea behind the website is that saving time and money are only two pieces of a successful commute. What about the effect on your health? On the environment? “Say you want to think about what would be the best thing to do on Monday through Friday every day for your commute. You can sit down on Sunday and look at CarFreeAtoZ and put in your home address and your work address and it will tell you a list of options,” said Mobility Lab’s Paul Mackie. 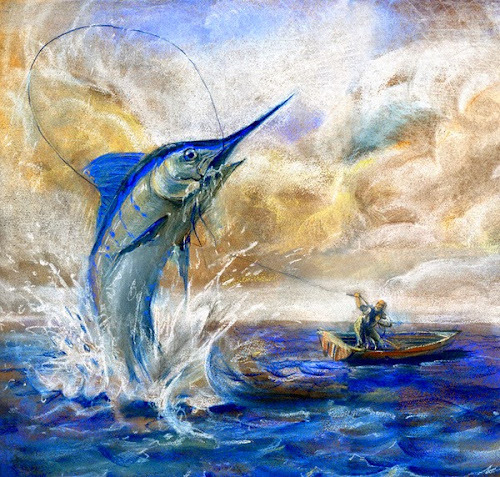 “The best options won’t necessarily be the fastest ones. It will be the one that also factors how it will affect your health, how it will affect the environment, how much time will you save and how much money will you save,” Mackie said. Expected to be available on smartphones by the fall, the program can be used in a Web browser now. The first question you are asked at CarFreeAtoZ.com is how do you usually get around? The options are I drive alone; I carpool; I bike; I take public transit; I walk. After making your choice a map of the Washington, D.C. metropolitan region appears. You then enter a starting point and your destination. Then click "Find my best option." Each transit, biking, or driving option will list how much money you might save, weight you can lose from exercise, the percentage of CO2 emissions that can be reduced, and hours of productive time gained – all compared to making the same trip driving alone. The website also helps commuters locate Bikeshare stations near Metro to finish the last legs of their trips on a bike. “There are a lot of apps out there that show you how many bikes are at a station in the Bikeshare system. But with this you can take Bikeshare to bus or Bikeshare to train,” Mackie said.